"We are so pleased to have Dr. Lyder join the UCLA community and take the helm of our highly regarded School of Nursing. He has proven to be an outstanding leader, particularly in promoting diversity and in translating scholarly work into clinical practice," said Block. "We look forward to working with him to continue the innovation for which UCLA nursing is known and the academic excellence that characterizes our university campuswide." "The UCLA School of Nursing is a world leader in higher education," said Lyder, who began his new position on Aug. 1. "It has a stellar faculty and staff, with some of the smartest nursing students in the country. Leading a school of this caliber is both a humbling honor and a dream come true." Lyder comes to UCLA from the University of Virginia, which he joined in 2003 as an endowed professor of nursing and a professor of internal medicine and geriatrics. He led the UV School of Nursing's acute and specialty care department, where he oversaw curriculum for 25 full-time and 22 part-time faculty members. He also designed and directed the school's geriatric nurse practitioner program. 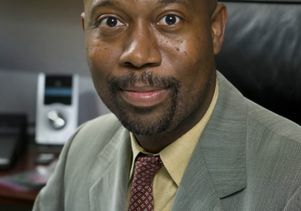 In 2006, Lyder was appointed director for diversity initiatives for UV's School of Nursing and medical center. He sought to develop "a medical center staff that looks like the populations it serves," increasing by 15 percent the number of students of color entering nursing graduate programs in 2007. Between 1994 and 2003, Lyder served on the faculty at Yale University in the School of Nursing, where he directed a number of programs specializing in adult, family, women's and elder care. Born in the Port of Spain in the West Indies, Lyder holds a dual citizenship with the United States and Republic of Trinidad & Tobago. His life course was set at age 5 when he moved to Manhattan with his family. Living with his grandparents inspired him to pursue a career in caring for older people. Lyder earned his bachelor's of science degree, master's and doctorate in nursing from Rush University's College of Nursing in Chicago and his undergraduate degree from Beloit College in Wisconsin. Licensed as a registered nurse in three states, he is a fellow of the American Academy of Nursing. As a senior consultant to the U.S. Department of Health and Human Services, Lyder has played a central role in shaping federal policies related to elder care. His research focuses on improving patient safety in hospitals, with a particular emphasis on seniors. Funded by the Centers for Medicare and Medicaid Services, he co-led an investigation to identify hospital errors affecting the Medicare population. His findings influenced the government's recent decision to stop paying for the treatment of preventable conditions that patients contract in hospitals. Another one of his key interests involves identifying early indicators of tissue damage that could help identify pressure ulcers, or bedsores, before they become a problem. As a result of Lyder's expertise, he was elected to chair a federal advisory panel that revised the nursing home industry's standards of care and strengthened penalties for violating them. He is in great demand as a consultant, both within the nursing home industry and in training state regulators charged with enforcing the regulations. "Nurses talk about leadership and making a difference," said Lyder. "It's very gratifying to see how something you are doing affects 16,000 nursing homes nationwide." In the past 17 years, Lyder has received as a principal investigator or co-investigator nearly $12 million in research and training grants related to the healthcare needs of older adults. He has published more than 165 books, book chapters, articles and abstracts, and presented more than 500 lectures throughout the U.S. and abroad. Describing his leadership style as "participatory," Lyder has identified four early goals for the UCLA School of Nursing: enhancing its research infrastructure and enterprise; continuing to develop curriculum that prepares students for the future demands of healthcare; increasing financial aid for students; and expanding the school's presence in the Los Angeles community and nationally. He also notes a personal interest in continuing to mentor others. "Mentoring is very important to me," said Lyder. "I am a product of good mentoring throughout my professional career. I have an obligation to mentor young nursing professionals and other members of the African American community." At UCLA, Lyder will earn an annual base salary of $250,000. In keeping with UC policy, additional compensation will include a relocation allowance, automobile allowance, participation in the Senior Management Supplemental Benefit Program and eligibility for a Mortgage Origination Program loan. For more details about the total compensation package, go to http://www.universityofcalifornia.edu/news/compensation/interimsalaries0308_lyder.pdf. To learn more about the UCLA School of Nursing, see http://nursing.ucla.edu.